What child is this of whom Simeon the prophet, filled with the Holy Spirit, declares to the Lord, “My eyes have seen your salvation, which you prepared in the sight of all peoples,” even as he holds Jesus in his arms? This indeed is He who is the “light for revelation to the Gentiles, and glory for [His] people Israel”; this indeed is the fulfillment of the promise made to Abraham, foreshadowed in the birth of Isaac, by whom Abraham’s descendants would be “as numerous as the stars in the sky and as countless as the sands on the seashore.” “Binding for a thousand generations,” forever, was the covenant the Lord “entered into with Abraham and by His oath to Isaac,” and now that covenant is brought to perfection in the sight of Simeon and Anna; now “all who were awaiting the redemption of Jerusalem” could rejoice and “give thanks to the Lord,” for to the temple had come the Christ of God: here is the Messiah. “Rejoice, O hearts that seek the Lord!” for in Jesus His Son you shall find Him. Though raised in a humble family in the town of Nazareth, this is He who raises all His chosen unto heaven, who brings salvation to His people. And so rejoice indeed “you descendants of Abraham, His servants, sons of Jacob, His chosen ones!” for even as “there came forth from one man, himself as good as dead,” innumerable descendants, even as the Lord fulfilled His promise to Abraham by the birth of Isaac, so the Lord’s promise to Simeon “that he should not see death before he had seen the Christ of the Lord” is fulfilled in all our midst even this day. Listen to the prophet’s proclamation: the light has come! We are no longer in darkness, no longer in mournful anticipation. And so with Anna we should come forward now and speak “about the child” to all who will listen, to all who long to hear the good news of God. Brothers and sisters, let the Lord grow in our midst. In this Holy Family that is His Church let Him be nurtured and known. For God’s favor rests upon Him alone and by no other child does salvation come. Today He is presented to all waiting hearts. Written & chanted by James Kurt; read by Sylvia Kurt; produced by Roger Fortney. Music by Abouna Joseph; used by permission. let our eyes see your salvation. YHWH, your Word you fulfill in our midst for you are faithful. Your Christ you send among us to save us from our sins that we might be as your children forever. Let us enter your generation, LORD, and be of your Holy Family. Your Son has become our brother and so we know you as our Father, LORD. Your promise is fulfilled and He now dwells among us – and so you, too, are with us. From the womb of the Virgin Mary is born a Child with whom we grow into your holy image; we are made pure as she by the grace upon her Son. In Nazareth let us make our home, O LORD, with Jesus and Mary and Joseph; then our home in Heaven will be secure and even here we will have your blessing. Though a sword must pierce our heart as it has with Jesus and Mary and Joseph and all your saints, yet we shall rejoice in your goodness toward us, that you make us fruitful with Abraham as children of a living faith. Let us become strong and wise in your sight. Upon what is your eye fixed? Do you seek the Lord as has Anna these many years, “constantly in the temple, worshiping day and night in fasting and prayer,” or are you seduced by “carnal allurements, enticements for the eye, the life of empty show.” Indeed, “all these are from the world” (and what appropriate description of the extreme vanity which grasps the world in this day), and indeed are all passing away into the nothingness from which they spring. And those whose hearts are fixed upon them shall pass away with them, while he whose heart seeks the Lord passes to the eternal life of heaven. “Give to the Lord the glory due His name!” David exclaims in his psalm today, and, yes, much glory is due Him. “Through His Name [our] sins have been forgiven”; through Him we “have conquered the evil one.” Do you know “Him who is from the beginning”? Does “the word of God [remain] in you”? Is it His love you have, or love for the world, wherein His love finds no place to dwell? “The Lord is King,” brothers and sisters. He alone is worthy of our worship, worthy of our attention, worthy of our praise. Waste not your breath on the empty illusions of this passing world. Anna “gave thanks to God and talked about the child to all who looked forward to the deliverance of Jerusalem.” Do you look forward to such deliverance? Do you care to hear of the glory of the Lord spoken of by this prophetess? Or have you better things to do? What sporting event, television program, or party takes precedence in your life? We live in a vain world, brothers and sisters. And that vanity permeates this modern society, presenting itself as an accepted good. It is not easy to conquer the hold such illusions cast upon our waiting eyes – only in Jesus will you find the strength to overcome these seductions. As “the child grew in size and strength, filled with wisdom, and the grace of God… upon Him,” so will you learn to make progress as you “tremble before Him”; so will you grow in His will to eternal life, as you turn away from the carnality of this life. Keep your eyes upon His light, rising from the darkness. and not on the things of this world. YHWH, you are from the beginning; may your grace be upon us that we might conquer the evil one and endure with you forever. The world is indeed passing away – let us not pass with it. O LORD, help us to do your will each day and at every hour. Teach us to remain in your Temple always and so be joined to you. If we worship you constantly, you will come quickly to save us – you send your Son to deliver Jerusalem, to comfort all who look to you. How strong are the allurements of the world the devil presents to our weak flesh! How easily we give in to such distractions, LORD. Let it be your courts alone our hearts are set upon – help us to turn from darkness to your marvelous light. In you we are made firm, and in your Son. With Him let us grow, O LORD, that we might indeed be your children and remain ever with you. Praise to you, O living God! Let us heed the words of your prophets and apostles. “I have made a covenant with David my chosen one, I have sworn to David my servant: forever will I confirm your posterity and establish your throne for all generations.” Here is the promise made to King David. Upon his seeking to build a house for the Lord, “the Lord… reveals to [David] that He will establish a house for [him].” Through the prophet Nathan, the Lord declares to His humble servant: “When your time comes and you rest with your ancestors, I will raise up your heir after you, sprung from your loins, and I will make his kingdom firm.” This would seem like all the world to refer to the great King Solomon, but it does not. For, like the earth itself, Solomon and all his gold – and even “the rest from all [his] enemies,” the peace the Lord establishes under his reign – will pass away; they cannot “endure forever” and neither can such a kingdom. The prophet speaks of a kingdom established in heaven (where all by nature endures forever), not one of the earth. And so it is not Solomon of whom the prophet and the psalmist speak, but Jesus, He whose coming is hailed today by the angel’s words to the Blessed Virgin: “He will rule over the house of Jacob forever, and of His kingdom there will be no end.” For Abraham has died and Jacob has died and David has died and Solomon has died… and their graves are with us to this day. But Jesus, Jesus lives; Jesus lives forever at the right hand of His Father. It is indeed Jesus who most truly says to the Lord God, “You are my Father, my God, the Rock.” It is He who is His only Son: it is He who is God Himself, one in being with the Father. This is “the revelation of the mystery kept secret for long ages but now manifested through the prophetic writings”; this is “the command of the eternal God, made known to all nations to bring about the obedience of faith”: Jesus is the Christ, the Messiah, the only Son – and we must worship Him. 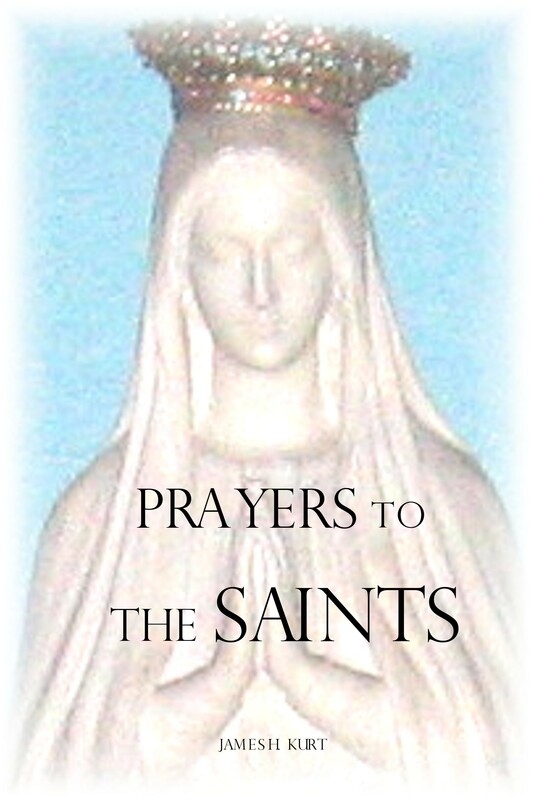 Come now, brothers and sisters, to this Child Mary bears by the power of the Holy Spirit. In Him your peace shall be established in the Father’s kingdom. Come to His holy throne, enter into His eternal reign… and with His humble king, and with His humble Mother, you shall be blessed forever. Yes, “the hand of the Lord [was] upon him,” whose name signifies the grace of God, who comes at the end of the age to turn men’s hearts back to God, who prepares the way we must walk to find the instruction and purgation of the Lord. We must be purified by “the refiner’s fire.” We must be purged of all dross “like gold or like silver that [we] may offer due sacrifice to the Lord,” that we might be called children of the One God. The Day is coming; the Lord is returning to the temple, and we must be prepared to welcome Him – and so John is born, sent in the spirit of Elijah the prophet to cry out the way in the wilderness of this world. By the Spirit of the Lord, he “shows sinners the way; he guides the humble to justice,” leading them to the Son who stands ready in Truth to teach and to save. Well do the people do to wonder at the birth of this holy child, for well will they do to follow his exhortation, and come to praise of the living God. This John leads us to something new, as even the originality of his name among his relatives signifies; he assists us in making the turn, the conversion to the New Covenant in the blood of Christ. From the Old and as a prophet of old, he leads us to the dawn of new light in this world. Jesus he comes to proclaim. Without this grace of God to be washed in the river of our sins, how could we stand on “the great and terrible day” of the Lord’s coming? How could we bear His light, His fire? “All the paths of the Lord are kindness and constancy toward those who keep His covenant and His decrees.” Praise God we have the instruction of the Lord with us now to guide us to life everlasting; and thank God we have been made ready by “the messenger of the covenant” to stand in the light of that wisdom. The Lord teaches us now, brothers and sisters; the Lord is with us to instruct us in His way and, “like the fuller’s lye,” to make us white. Let us not make the grace of forgiveness John has wrought by the hand of God among us come to naught – let us listen closely now to the Word of God to which his voice has led us. let us walk that path to you. YHWH, your hand was upon John for our good, to prepare the way for your Son, that we might be prepared to receive the glory of His presence among us. This day may our hearts be ready for His coming. Sinners you show the way, O LORD; you mark out the path we all should tread if we wish to be cleansed of all evil and turn our hearts to you. You are our Father, and all we should desire is to love you – O LORD, lead us in the way to you. Your Son is the way, dear LORD. It is by Him on His terrible Day that we are purged of all dross in the fire of the Holy Spirit and so made pure to stand before you. O holy God, let us be refined like silver or gold that we might shine so brightly in your presence. By your grace only is this accomplished; let all be made new by your hands. But who heeds his proclamation? Who is able to hear this voice crying and find the joy of the path it would blaze in their hearts? How many are still as the priests and Levites and Pharisees of today’s gospel, inquiring so blindly, “Who are you”? How many are as the commentators of the missal I read, who term the prophecy of Isaiah a “poem,” and state that the Canticle of Mary is “a song that Luke put into the mouth of Mary”? How many have no sense of prophecy, or the Spirit, or God Himself? How many are deaf to John’s cry? Our brother Paul instructs us: “Do not quench the Spirit. Do not despise prophetic utterances.” And yet the greatest of all prophetic utterances are watered down in ankle-deep wisdom. “My soul proclaims the greatness of the Lord,” Mary declares. The Spirit wells up in her spirit and she cannot but “rejoice in God [her] Savior.” These are not words put into her mouth by any man; her prophecy does not come from the pen of a scribe but from the very Spirit of God! A man named John was sent, not to testify to himself, but to prophesy the grace of God; and his voice will cry out the way to the ends of the earth and to the end of time. Music: "Removing the Log from my Eye" (second part) from Listening to the Lamp, ninth album of Songs for Children of Light, by James Kurt. Turn from your sins, brothers and sisters. Repent. It is the Lord’s will that “all should come to repentance,” that all should be “found without spot or blemish” on the day of His coming, on the day all “the elements will be dissolved with fire.” With the fire of the Holy Spirit does the Lord Jesus come now to baptize, that what John has cleansed from our souls might be gone forever – that the new person we become by this baptism of water might be made complete, might become hardened and lasting in the furnace of His love. God “proclaims peace to His people. Near indeed is His salvation to those who fear Him.” Hear what His prophet says, for he cries “out at the top of [his] voice” that indeed all hearts might listen: “Here is your GOD! Here comes with power the Lord GOD, who rules by His strong arm.” Yes, “the mouth of the Lord has spoken,” and now the WORD is in our midst, walking amongst us as our shepherd and “leading the ewes with care.” The “justice [that] shall walk before Him, and prepare the way of His steps,” has come, and now the level highway that leads to His kingdom we must tread – there is no denying the road that is set before us. Christ is coming, brothers and sisters, and Christ has come. The Baptist has prepared His path, and He, the Son of God, has walked it. And now we await His return in glory. And “the Lord does not delay His promise”; His return is sure. Already we see the “glory dwelling in our land.” He waits for you to come now to Him. In patience He looks for you to turn. Turn to Him now in earnest; with all your soul cry out His Name. “Jesus Christ the Son of God” dawns on the horizon. Embrace His love; walk His sacred path. and we follow on your way of salvation. YHWH, let your Word be proclaimed to the ends of the earth that all hearts might be prepared for the return of your Son, for the Day when all the elements will be dissolved by fire and the thoughts and deeds of every soul revealed. John the Baptist has come and prepared the way for the first coming of Jesus. Now His disciples go forth, now the Gospel is cried out from the heights of Zion – now every man shall plainly see that you, O LORD, are God; and peace shall come to him who turns to your glory. With fire let us be baptized today, LORD, with the fire of the Holy Spirit. Washed clean from our sins let us now be perfected for life in your kingdom. Let us not fear the coming Day but welcome it and hasten it by living uprightly before you. In your patience you wait for us to turn from all sin and embrace your presence in our midst. Let us make straight your way into our hearts. The prophecy of Isaiah has been fulfilled. The Savior has come. The Teacher is at our side now speaking into our ears, “This is the way; walk in it.” And of all our sins He cleanses us; from all our sickness He heals us. Indeed, “as soon as you call He will answer you,” for He is ready to wipe all tears from your eyes. And what must be our response to a Lord who “heals the brokenhearted and binds up their wounds.” We must be the same as He. We must go forth as He has, teaching, proclaiming “the good news of God’s reign,” and curing “every sickness and disease.” It is our call to make others whole in heart, mind, soul, and body; and so, to whatever need is present – and there are many or the Lord would not ask us to “beg the harvest master to send out laborers to gather His harvest” – we must apply the grace of God. He will do the work that is needed, but He needs us to work through. To what glory all are called; what a wonderful message we have to bring forth! Isaiah, the great prophet, only touches upon it when he cries out that the Lord “will give rain for the seed that you sow in the ground” (see how He will bless your work!) and when he proclaims: “The light of the moon will be like that of the sun and the light of the sun will be seven times greater.” This vision is for all who turn to the Lord for healing. We have been bruised, brothers and sisters. No doubt, our sins have brought wounds to our souls. But the Lord will bind up all these; in His surpassing pity He will raise us all from death as He “rebuilds Jerusalem.” Let us bring this message forth. to walk in the way that leads unto Heaven. YHWH, we lie prostrate from exhaustion, do we not? We thirst for your presence; we hunger for the Bread you provide. Come to us. Send your laborers to teach us and to heal us of every disease, to bring us your grace. Have pity on your sheep, O LORD! We are broken, but when we cry out to you, O LORD, you hear our voice and quickly answer our prayers. And what promise you make to our waiting hearts! Abundance of blessing shall be ours as you heal the wounds of our sin and bring us into your glorious presence. Seven times greater than the light of the sun will be your light on that Day, O LORD. Streams of running water will fill our thirst for you and by your teaching we will be led in our every step. Come, LORD, fulfill your promise in our midst. Let all men know your reign is at hand. “O Lord of hosts, look down from heaven, and see.” “Rouse your power, and come to save us.” Do not “let us wander, O Lord, from your ways, and harden [not] our hearts so that we fear you not.” We are your fruitful vine, but “we have all withered like leaves… for you have hidden your face from us and delivered us up to our guilt. Yet, O Lord, you are our Father; we are the clay and you are the potter.” “May your help be with the Man of your right hand.” May we be formed in His image and so be pleasing to you. May we be ready for His return, and our final meeting with you, our Lord and God. “What I say to you, I say to all: ‘Watch!’” In many ways does He indeed say it: “Be watchful! Be alert!” Keep your eyes open! Stay awake! Be ready! But ever He tells us to remember that we are “called to fellowship with [the] Son, Jesus Christ our Lord.” And as “God is faithful” so must we too be faithful to our call, giving witness always to the glory of our Lord. Now is the time to turn from our sin and be formed in His image. Let the prophet not say over us: “There is none who calls upon [His] name, who rouses himself to cling to [Him].” Let us prepare ourselves for His coming by walking rightly in His ways. Music: "Warm Forehead" from Bearing the Birth Pangs, tenth album of Songs for Children of Light, by James Kurt. and watching for His return. YHWH, let us be mindful of our ways as we wait for the return of your Son. May we be blessed with every spiritual gift as we watch for His coming. Though our good deeds have become as polluted rags, He makes them new, bringing us back to you. Give us new life, O LORD, that we might call upon your NAME. You are our Father, our God; let us no longer be separated from you and your glory. We are the work of your hands, dear God – remake us in the image of your Son that when He comes we might stand with Him in your presence. Make us irreproachable, LORD, by your grace, by your mercy, by your rending of the heavens and coming down to us. Let us lack nothing for the hour of Jesus’ return but be ready to enter the kingdom. May our eyes be open and our hearts awaiting our salvation. The vision is explained to Daniel, and really it is quite simple: evil shall come, but good shall triumph in the end. Kingdoms of the Beast, of the evil one, “shall arise on earth. But the holy ones of the Most High shall receive the kingship, to possess it forever and ever,” the angel tells Daniel, and reiterates this simple point: “All the kingdoms under the heavens shall be given to the holy people of the Most High, whose kingdom shall be everlasting.” Yes, evil kingdoms shall rise and make war “against the holy ones,” devouring the earth, beating it down, and crushing it… but the court of the Lord will be convened and the “final and absolute destruction” of the evil one is thus at hand. In Daniel’s vision “the time came when the holy ones possessed the kingdom.” And so it is; and so it shall be. “Be on the watch,” the Lord exhorts us in our gospel for this the final day of our liturgical year. We must indeed “be on guard,” for if we do not watch, we will not be prepared for the coming day of the Lord which is ever at hand. Certainly we do not wish to be destroyed with the devil and his angels, but if our “spirits become bloated with indulgence and drunkenness and worldly cares,” how shall we stand? And so it is that we must indeed pray constantly for the strength to withstand the coming chastisement – we cannot underestimate the devil’s power to seduce us with his lies even as the grass grows beneath our feet. As the grass grows, so must our spirits grow, in truth and goodness and love. His peace must surround us to guard us against the sin which attacks us here as we live and breathe upon the face of the earth. The day will come. Let it be our joy to be found waiting for the Lord. give us the strength to stand in your glorious presence. YHWH, the day of your judgment is coming upon all who dwell on the face of the earth, but on that day your holy ones will be glorified. The beasts and their kingdoms shall all be destroyed and your holy people will reign with your Son. But we must be ready for that day; we cannot fall into drunkenness. If we become bloated with indulgence and worldly cares, we shall not stand secure before Jesus but be driven out with the evil one. O let not that day overtake us, dear LORD! Rather, take us then into your kingdom. There is great trial coming upon this world; it is now underway. War is made against your holy ones, and they must suffer and even die. But let us praise your eternal glory, LORD. Let all your servants, the souls of all the just, bless your holy NAME. For our salvation is on the horizon, and nothing need we fear from Him who comes. Let us be awake in prayer.